An article by Mayumi Negishi of the Wall Street Journal captures the challenges of high sector production concentration to global supply chains. Natural disasters and resulting human tragedies in Japan have been recurring regularly, causing loss of life, tremendous property damage and huge disruptions to industry. The earthquake this week on Hokkaido, Japan’s northern-most prefecture is the latest of these and is causing a major disruption to Toyota’s production in Japan and elsewhere. Japanese industrial companies have been increasingly focused on how to assure supply chain resiliency in the face of these kinds of incidents. It is obvious and becoming more obvious that too much facility or geographic concentration exposes global supply chains to massive risk – the kind of risk that simply cannot be ignored any longer. Surely, there are some technological and cost efficiency challenges to break-up some production hubs – but there are also huge insurance benefits to assure continuous and uninterrupted production for global market products. Combined with evolving trade agreement dynamics, there may be great opportunity for anew production investment in other areas including in Latin America North America and Europe, especially at and around well-connected logistics hubs. 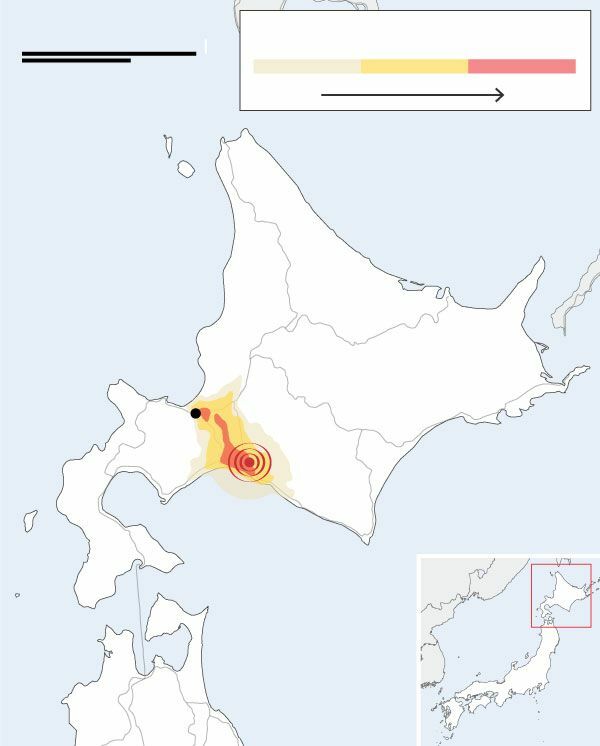 TOKYO—More than a million homes in Japan’s northern island of Hokkaido were without power two days after an earthquake that highlighted the fragility of the nation’s energy supply following its nuclear accident in 2011. The effects of the Hokkaido quake and a typhoon that hit Osaka rippled across the world’s third-largest economy. Toyota Motor Corp. said it would shut down some production lines on Saturday because a Toyota subsidiary’s factory in Hokkaido that makes transmissions had to shut down. Hokkaido, an island of some five million people, has gone without nuclear power for more than six years and relied heavily on a single coal-fired plant which was near the epicenter of a magnitude-6.6 earthquake on Thursday. When the plant was damaged by the quake, the sudden subtraction of power from the grid forced Hokkaido Electric Power Co. to shut down the grid entirely, leaving virtually the entire island in the dark. By restarting more oil- and coal-powered plants, the company will probably be able to restore power to most households on Saturday, the government said. A Hokkaido Electric spokesman said it would be difficult to completely restore power until repairs were made at the damaged coal-fired plant—something that company officials earlier said could take a week. Still, some experts questioned whether the lengthy outage could have been prevented with better planning. “We need to focus more on how to minimize the damage when these disasters do occur,” said Kazuhiko Ogimoto, a professor at the University of Tokyo specializing in energy systems. He said Hokkaido Electric and local officials could have quickly worked to lower power consumption in some areas as an immediate response to the quake, allowing at least part of the grid to keep going. Hokkaido Electric said that given the amount of power generation that went suddenly offline, that wasn’t possible. Toughening the nation’s resistance to natural disasters is a priority for Prime Minister Shinzo Abe’s government, which has seen a spate of them this summer. In Osaka, the strongest typhoon to hit the country in 25 years knocked down hundreds of power poles and flooded parts of the region’s primary gateway for Asian visitors, Kansai International Airport, on Tuesday. More than 100,000 homes in the region were still without power on Friday. The Kansai airport reopened one of its two terminals on Friday, but a spokeswoman said it would likely take several more days for the other terminal to reopen. The transport ministry said it could take a month to fix the damaged train line to the airport. 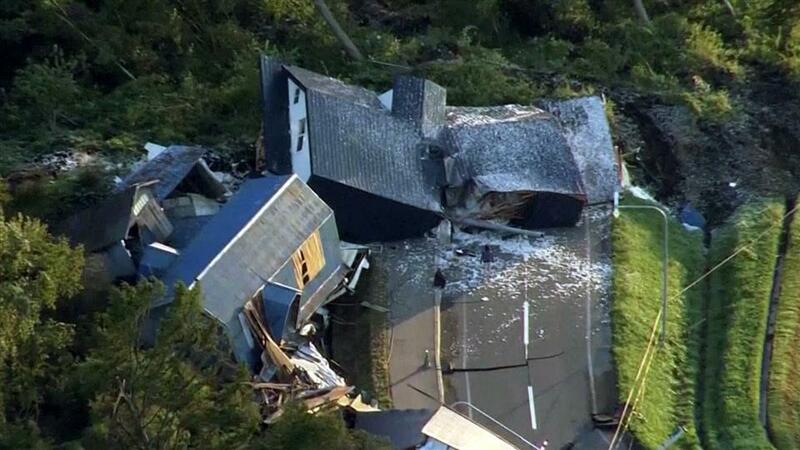 The Hokkaido quake killed at least 18 people, according to official estimates, and 24 were missing as of late Friday, chief government spokesman Yoshihide Suga said. SMBC Nikko Securities analyst Koya Miyamae estimated the typhoon and earthquake would lower Japan’s real gross domestic product in 2018 by at least 0.07 percentage point, or more if news of the blackouts and transport disruptions discourages tourists from visiting. *The colors refer to intensity ratings of four to six on the 10-step Modified Mercalli Intensity Scale. They range from light intensity, in which shaking is felt indoors by many and rocking of objects is visible, to strong, when shaking is felt by all and some heavy objects are moved with slight damage. When a magnitude-9 earthquake and a tsunami struck Japan on March 11, 2011, the nation had 54 nuclear reactors operating. All of them were shut down by the following year, either permanently or temporarily. Today, only five are in full commercial operation, with two others set to join them shortly. None of those are in Hokkaido. The coal-fueled Tomato-Atsuma plant normally accounts for half of Hokkaido’s electricity. When it was damaged in Thursday’s earthquake, requiring what officials said would be at least a week of repairs, the power company was unable to quickly tap the transmission network connecting Hokkaido with the electricity grid on Japan’s main island of Honshu. The transmission line has the capacity to make up for only half the power generated by Tomato-Atsuma. “We are lucky that this didn’t happen in winter,” said a spokesman for Sapporo-based Tsuruga Group, which operates a network of hotels in Hokkaido. He said most of the hotels got back power after a day or so, but even that length of outage could be life-threatening in January or February, when the temperature typically dips far below freezing at night. GLDPartners is an international investment and advisory firm that specializes in revenue and infrastructure development projects at and around high-opportunity airports, seaports and strategic trade and logistics hubs. The firm supports global manufacturers and companies with retail distribution operations with network design strategy, competitiveness analytics and facility location projects. The firm is developing research and development assets to support the global automotive sector. GLDPartners’ clients and market perspective is global and the firm is headquartered in in the US in Scottsdale, Arizona, with offices in New York, Washington DC, Chicago and in the UK. Adam Wasserman is GLDPartners Managing Partner and has a senior background in economic strategy, project finance, infrastructure development, ports management and public policy. Adam has an extensive knowledge of transportation, global logistics, infrastructure, economic development and finance.